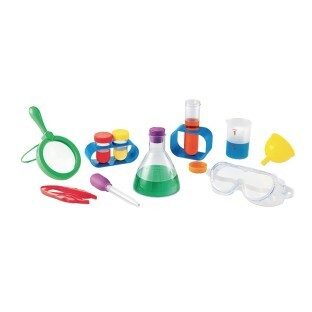 Real science tools perfectly sized for little hands! Kid-sized science tools include unbreakable beaker, magnifying glass, funnel, eyedropper, flask, tweezers, goggles, plus 1 large and 2 small test tubes with stands. 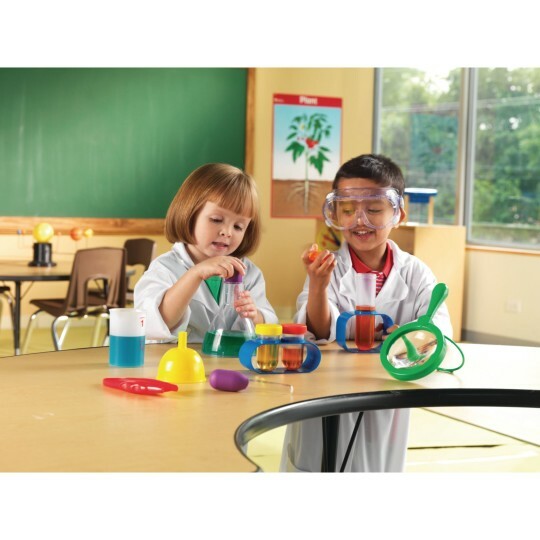 Set supports hands-on early science investigations. 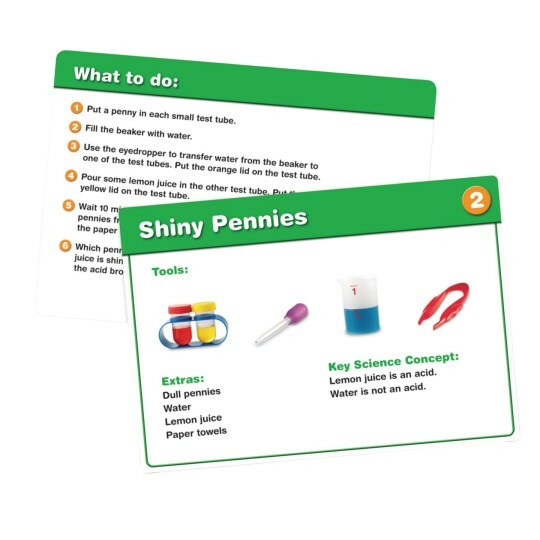 10 double-sided activity cards cover science process skills, living and nonliving things, physical science, senses and more. Grades PreK+. I got this kit for my daughter who is six for Christmas and she plays with it tens more than any other toy. The science projects are easy and use household items. I also like that science cards had pictures on them which makes it easy for my daughter to figure out what she needs and what to do. I plan on buying one my three year old because he loves to play with it also.